This proven bur-locking and vibration-canceling system vouches for optimal stability and precision, no matter the rotational speed. Assembled with Bien-Air's Soft PushTMbutton, bur release is quick and easy. 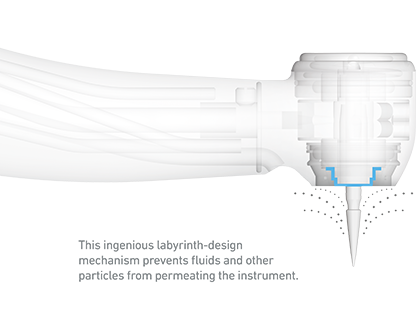 This ultra-precise nebulization system is composed of three separate air and water sprays providing comprehensive cooling to the bur and treatment site. Combined with LED light and two dualook™ multi-strand optical glass conductors, unobscured intraoral visibility is guaranteed from wider angles. 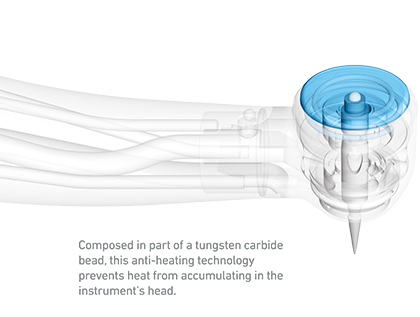 Conveniently integrated into the head's push button, this patented anti-heating technology is designed to maintain the instrument's head at a safe temperature, thus significantly decreasing patient burn injuries. 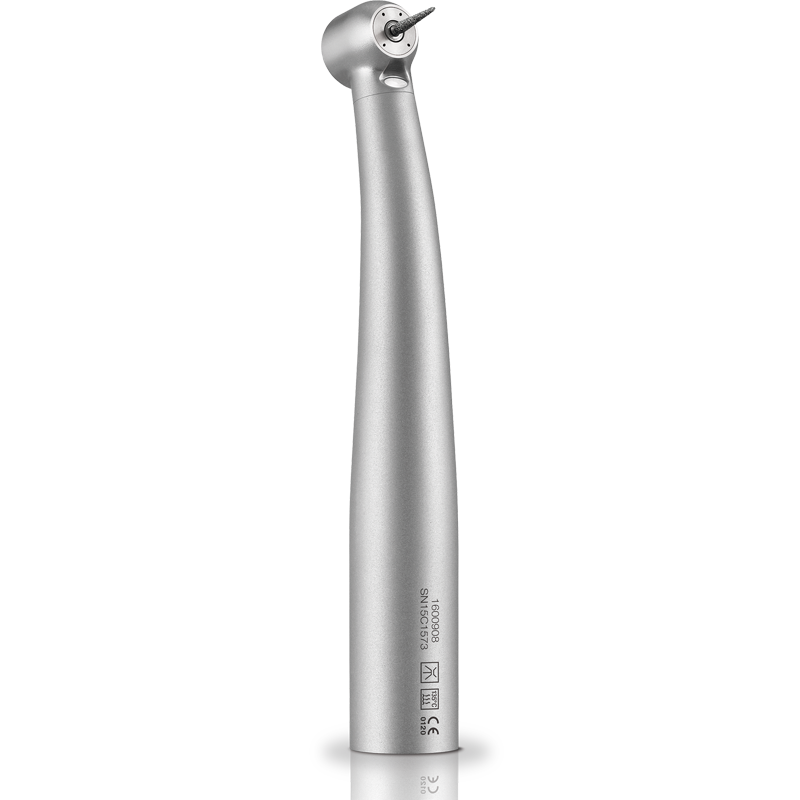 In combination with an anti-retraction valve, this wear-resistant mechanism prevents oral fluids and other organisms from infiltrating the instrument's head, water lines, and treatment unit. This obviates the risk of patient cross-contamination and noticeably prolongs the ball bearings' lifespan. 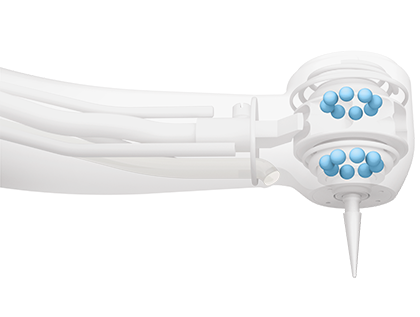 These wear-resistant Bien-Air ceramic ball bearings grant the handpiece extended service life and contribute to lower acoustic noise levels.